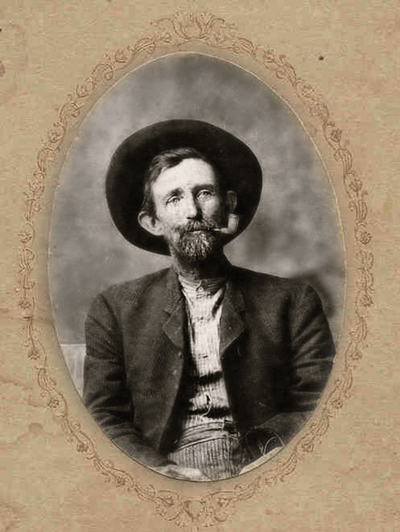 Image of Marion Isaac Knight from the collection of Jeff Hennesy. Photoshopped it a touch. Marion (Marian) Isaac KNIGHT was born 25 Aug 1866 to William KNIGHT and Martha (Mary E.) NOBLE/NOBLES. He died 25 Dec. 1947. Marion married Frances A. “Fannie” BRELAND, daughter of Elijah BRELAND and Mariah BROWN. She was born 9 May 1871 (given as from Pine, LA) and died 24 Sept. 1907. Fannie is buried at the Nobles Cemetery at Pine. Ethel (Simmons) HENNESY described Marion, her mother’s father, as a “full-blooded Irishman.” Which isn’t so. His grandfather, Charles KNIGHT, was born in Virginia in 1785. Marion Knight was wealthy and disapproved of his daughter, Annie, marrying Lucius SIMMONS, who was poor. He left Annie out of his will. Marion’s name in the Fowler/Simmons Genealogy is spelled Marion. Often it is also given as Marian. Marion was a Mason, member of Pine Lodge No. 264, F&AM. I have a very, very poor xerox of a photo which reads, “Pine Lodge No. 264, F&AM, has quite a history–as is indicated in this old photograph which was taken July 27th 1900. The heirs of Monroe Knight donated the original photograph to the lodge. From left are James “Jockey Jim” Knight, Plummer Knight, Dr. Warner, Ira Pope, Monroe Knight, D.E. Branch, P.E. “Rev. Pink” Toney, Rev. Tom Bennett, Marian Knight, Layton Schilling, Meride Breland, James “Peg Jim” Knight, W.E. Alford, Archie Whittington, and Curtis “Boy” Miley.” So we have four Knights and a Breland in the photo. I have some notes from Jean Kearns (granddaughter of Annie) that state that while 4 children survived there were others who were killed by typhoid. Annie Clarinda b. 22 Feb. 1888 at Sheridan LA, married Lucius SIMMONS in 1904. NOBLES cemetery shows a C. J. KNIGHT, son of M. T. and F. A. KNIGHT, b. 10 Dec. 1891, died 18 Sept. 1907. NOBLES cemetery also shows Albert M., Son of M. T. & F. A. KNIGHT, b. 4 Dec. 1895 and died 4 Sept. 1896. Frances’ tombstone at the NOBLES cemetery shows her as wife of M. T. KNIGHT, May 9, 1871 – Sept. 24 1907. Marion’s second wife was Leah CORKERN. A Franklinton LA newspaper article, August 19th 1926, mentions a Mrs. Marion KNIGHT, daughter of Rev. C. T. CORKERN. Monday, at the residence of his daughter, Mrs. C. J. Gayer, Rev. C.T. Corkern died at the age of 65 years, 11 months, and 21 days. He married 1st, Mollie Magee, sister of W.L. Magee. He later married Mrs. May Voyles, widow of Rev. Claude Voyles of Shreveport. The following children survive him, Mrs. Marion Knight, C.J. Gayer, and 1 son, John Corkern, all of Franklinton; Mrs. Iddo Crain of Hammond; Miss Annette Corkern of Magnolia; Mrs. W.M. Edwards, Texas; and Rev. W.A. 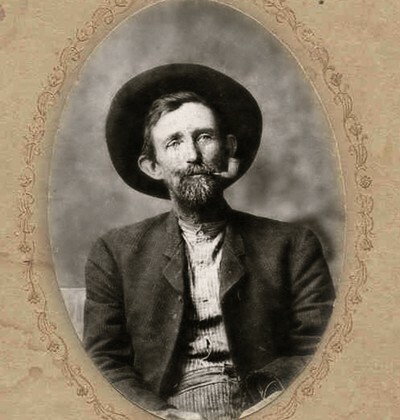 Corkern of Kerns, Texas. Funeral services were held at the Ellis cemetery. This would be Leah Lenora CORKERN, daughter of Charles Thomas CORKERN and Mary Jane MAGEE. She was b. 31 Jan 1884 in Washington Parish, LA, d. 11 July 1959, Washington Parish, LA. She is buried at the Ellis Cemetery. She and “Marion T.” are given as having married 11 Nov. 1908 in Washington Parish, LA. A posted photo shows Marion, Leah, Annie, William E. Sr., Wilbur Warren and Lela Maye KNIGHT. W. E. (Bill) KNIGHT, Jr. – June 2, 1924 – July 11, 1963. Year: 1930; Census Place: Police Jury Ward 3, Washington, Louisiana; Roll: T626_824; Page: 13A; Enumeration District: 5; Image: 0703. Marion knight was Marion T Knight. Trying to figure out where ” Isaac” fits in. There was MArion Isaac Hennessy related . Vicki. This was my husband’s mother’s mother’s grandfather. I should have said instead Marion Thomas “Isaac” Knight and will change that. For some reason he was called Isaac, and all my husband’s mother’s mother’s sibs were called by names that had nothing to do with their given name. My husband’s mother doesn’t know why. I thought it was some regional thing. Estus D. was “Pete”. Desera W. was “George”. Ezra William was “Jodi”.